Since 1948, Land Rover has become a household name across the world. In this time, the brand has gone on to spawn various different variations, such as the Discovery. These vehicles have been used for a variety of purposes. Even the military got their hands on them! Throughout this time, there have been a select few outstanding Land Rover models that stood out among the rest. So, sit back! It’s time to a look at some of the reasons why Land Rover is such a famous name in modern motoring. The very first Land Rover Defender was unveiled back in 1983 and has gone on to become one of the most popular off-road vehicles of all time. Originally, it was called the Land Rover Ninety and Land Rover One Ten. In 1990, it finally bared the name that we’ve all come to know and love over the years. The most important part of the evolution was an improved engine. This engine allowed the car to reach high speeds with ease, and it was a particularly economical car as well. 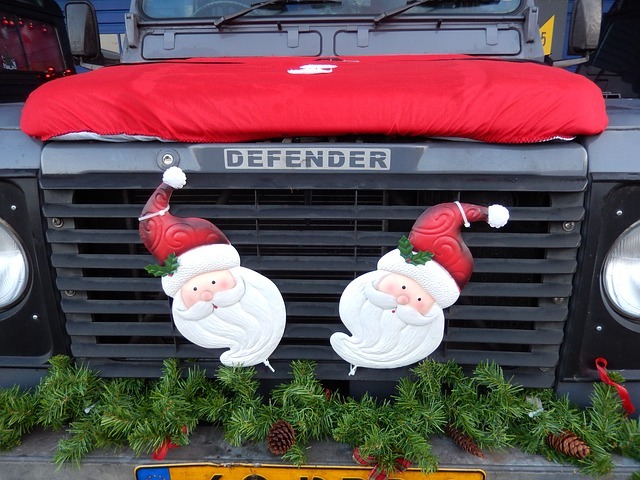 The Defender is actually on the way out! The last Defender left the production line in late January 2015, and a replacement for the model will be with us by the end of 2016. It’s going to take a mammoth effort to hit the high standards that have been set by the Defender. If you’re still interested in picking one up, you can always grab a used one for a good price. The Range Rover Classic was a model that was available for over 20 years, finally ending its production in the mid-1990’s. It revolutionised the industry when it was first unveiled back in 1970. This model was a first-generation model to be produced under the Range Rover name. In fact, it was known as the Range Rover for years, until the “Classic” moniker was added as time went on. It was particularly good in off-road situations, as well as incorporating a range of important features. Police, fire and ambulances services all enlisted the help of the Range Rover Classic to carry out their duties at some point in time. The Air Force and Royal Navy even used it as a rapid response vehicle. This model truly is classic and is remembered fondly by off-road enthusiasts across the world. The Range Rover Sport is a powerful, elegant model that began production in 2005 and continues to this day. The second-generation of the vehicle was unveiled in 2013. Since 2009, the car has been available with a 5.0 V8 Command Shift engine for diesel variants. For the launch party, James Bond himself was in attendance, as the party took over the streets of Manhattan. The original chassis of the car was adapted from the Discovery model. Land Rover’s famous Terrain Response system is included, and the car’s safety ratings have been impressive. Be warned, these things are fairly pricey. You can find used versions from places like hunters landrover for around half the price, and they’re only one-or-two years old. Smooth, powerful, comfortable and elegant; the Range Rover Sport is an excellent choice. The Freelander was another popular model that went into production in the late 1990’s, finishing its run in 2014. The car was a compact SUV. It offered a range of models based on five-door estate and three-door softback versions, as well as commercial. It also came in different varieties of manual and automatic transmission throughout its run. The second-generation of the vehicle was known as “Freelander 2”, and it was based on the Ford EUCD platform. The car went under numerous design transitions for the next eight years, finishing in 2014 despite a steady number of sales. The Freelander was replaced by the Discovery Sport model the next year. The 500,000th Range Rover Evoque recently left the production line, and that’s an indication of how popular this model has been so far. Starting in July 2011, critics have lavished praise upon the car for its features and off-road handling abilities. The Evoque is a luxury crossover SUV. The construction techniques applied to the car provide excellent ride quality and handling. Due to the luxury element of the car, there’s a range of in-car features such as a touch-screen entertainment system. It even comes with mood lighting! This model is rapidly rising in popularity, thanks to its stylish design and excellent reviews. In its first year of production, the car sold almost 88,000 units. In 2013, the model was sold over 124,000 times. Range Rover have taken full advantage of this positive reception, releasing a number of different of models in the last few years. The Evoque Convertible is the newest one, with production years set to begin from 2017. You probably don’t recognise this as the L322, do you? This is the name for a series of cars that were released from 2002-2012 under the name of “Range Rover”. This includes the TDV8 Vogue that was once described by Jeremy Clarkson as “the best car in the world”. This is the third-generation Range Rover model and was designed to incorporate BMW’s V8 engines. The first update came in 2005 when the vehicle’s engine was upgraded to a 4.2-litre V8 engine for the premium model. The 2006 version improved on this even further. By the time 2009 rolled around, there were new-and-improved options for 5.0-litre engines in the petrol variant. Armoured Range Rovers were also made, as well as a few special anniversary-related models that were tough to come by. 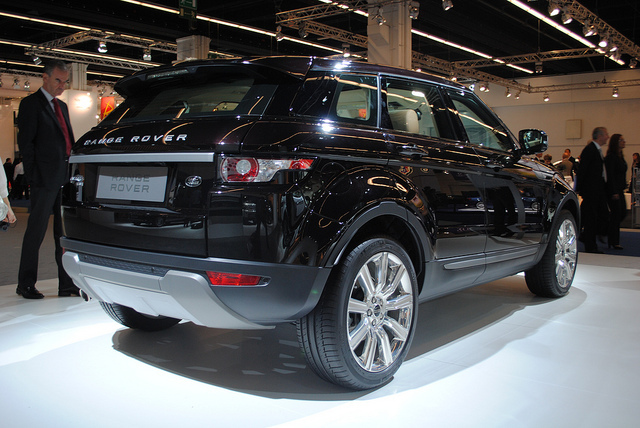 The fourth-generation made its debut in 2012, putting an end to this historical period for Range Rover. We have to put this in here, as it’s the one that started this all off. The Series I was first produced in 1948 and launched at the Amsterdam Motor Show. It originated out of Solihull, UK, and went on to spawn various different models up until 1957. The very first iteration had a 1.6-litre engine and four-wheel-drive system. Later, different interiors were designed, as well as larger engine options. The first five-door model came along in 1956, as the Land Rover started to gain steam. The first expansion of the Land Rover range came with the Station Wagons, which had a “Safari Roof” implemented. Finally, in 1958, the Series I made way for the Series II. What an incredibly successful beginning for one of the world’s most famous inventions. We’re only scratching the surface of all the excellent Land Rover models that have come along over the past 70+ years-or-so. There’s a vast number of off-road vehicles out there, but Land Rover is arguably the most famous. The creative minds that came up with revolutionary ideas such as the Evoque made this happen. The success of the company wasn’t an accident; it was carefully planned and the result of a lot of hard work and dedication. So, what’s to come for Land Rover in the future? Who knows?! The Evoque will continue to blossom, as will the Sport. Eventually, however, these models will come to an end and something else will be there to replace them. We’ll continue to see these historical models on the road for years to come. They are durable, expertly crafted machines, and Land Rovers have always sold well in the used car market. Almost certainly, we’ll be driving Land Rovers for a long time to come. Next page Next post: Should The Seat Leon Be Your Next Car?